← Downtime. We all need some. 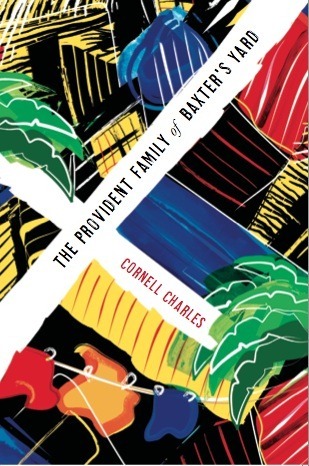 The Provident Family lives in an impoverished community of Baxter’s Yard on the fictional island of Au Tabor. The family’s dream of improving their situation rests on Victor, the oldest child and an outstanding student both academically and athletically. Through the help of a wealthy benefactor, Victor is given financial aid to attend a prestigious school. Upon graduation, he is awarded a scholarship to continue his studies but tragedy strikes before he can leave the island. Victor Provident was considered an exceptional student in primary school. His behavior was exemplary, a factor his teachers thought noteworthy considering that he lived in an environment not known for producing boys with such outstanding qualities. Although fourteen years old and a few years above the average age of other applicants, he was in the first group of boys selected to be interviewed to attend St. Teresa’s College. The college was established by priests of a French religious order, Fils de Marie Immaculée, on Au Tabor Island at the commencement of the twentieth century. The island is part of an archipelago and is anchored in the Caribbean Sea. A foreigner in a white seamless gown reaching to his ankles made Victor unsure about the stranger’s gender. His father had instructed him only about attending an interview for admission to college, but was not given further details. The stranger’s deep bass voice filled the hall with authority, startling Victor. It was Herman Provident, Victor’s father, who rushed forward first in obvious anxiety. Victor had never seen his father so nervous and compliant, virtually shouting and nodding his head jerkily in affirmation. During the interview Victor remained silent while his father responded to the questions Father Giraud had read off a paper and which his father had answered diligently. Victor turned to his father as they stepped out the door after registration. “Where are his children?” Victor assumed someone addressed as Father would have children. Cornell Charles resides on the island of St. Lucia, where he finds much inspiration for his writing. He is the author of the novel, In Pursuit of Running Water. A successful businessman, he was awarded a Companion of the Most Distinguished Order of St. Michael and St. George (CMG), in 2000, for services to business and commerce. Cornell Charles can also be found on his website.